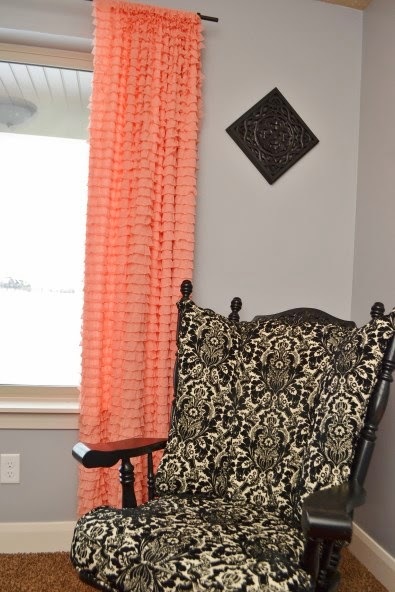 Ruffle curtains are all the rage right now. I personally HATE sewing a million ruffles. The end result is GORGEOUS, but the time that it takes to get there is more than I have to spare. First you will need to decide the length you want your curtain. 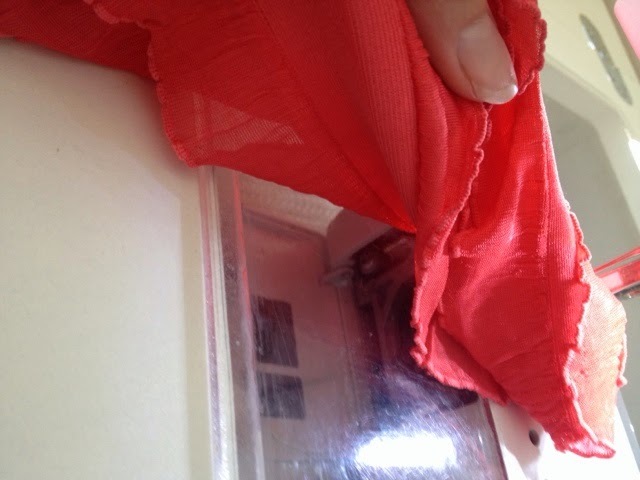 You will need a sewing machine, matching thread, and 2-3 inches more than the length you need for your curtain. If you need more than the width that the fabric comes in then you will need to sew 2 pieces that are the same length together for the extra width. 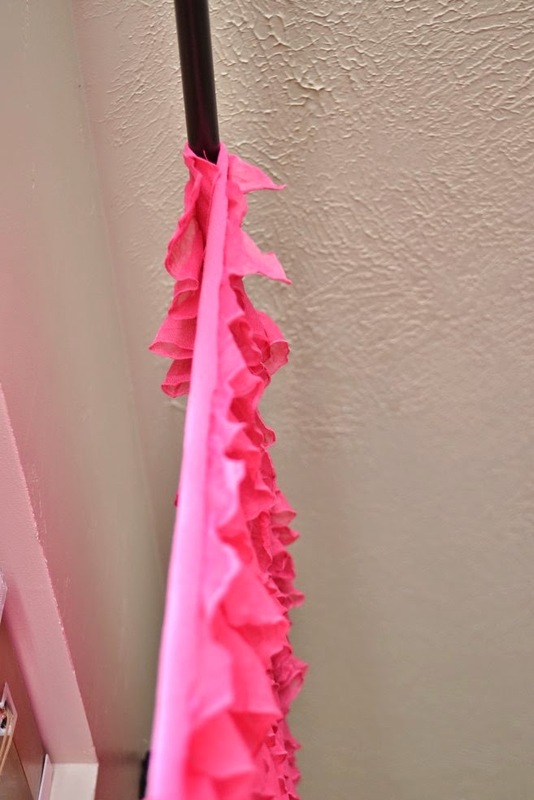 Fold over your ruffle so that you have a 2 inch rod pocket (or whatever size pocket you need. I always make sure that I have a ruffle starting at the top. So the pocket might end up a little wider than 2 inches or little smaller, depending on the length of ruffles. 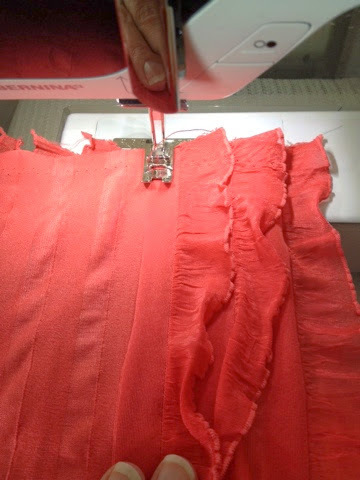 As you sew down, make sure to check underneath your fabric so that your ruffles aren't being sewn on the underside. You only want to sew on the knit fabric under the ruffles. This is what your curtain will look like from the side after hanging it up. If you love these curtains make sure to follow my pinterest board with lots more curtain inspiration. So fun! Those curtains really brighten up the room. Great instructions. Thanks. I want these for my daughters room! Now I just need someone to follow your wonderful instructions! my girlie-girl daughter would LOVE these curtains in her room. great idea! These are so cute! I love the way the curtain looks beside that chair, too. Beautiful! I'm so inspired. My grandmother would have loved to see me create this. Perfect for my daughters room. So pretty! I love sewing and I'm teaching my 10 and 11 year old girls. You make these look easy! These are beautiful!! I love the long apricot one!! 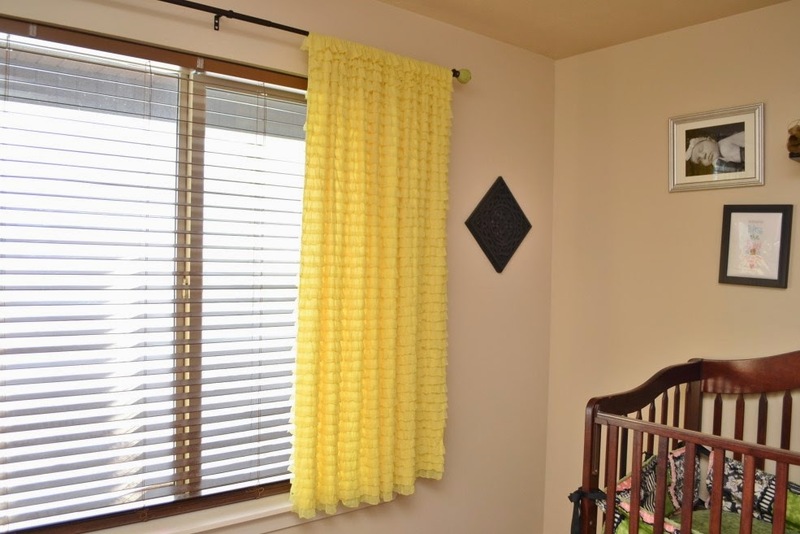 Beautiful curtains and they brighten up your room so chearfully! 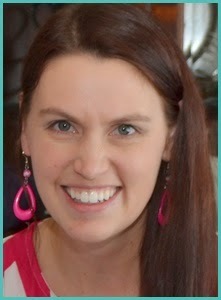 I would love to be able to sew like you! The thought of sewing those is terrifying, but they look great! Love this! I didn't know how they were so easy! What a brilliant idea! 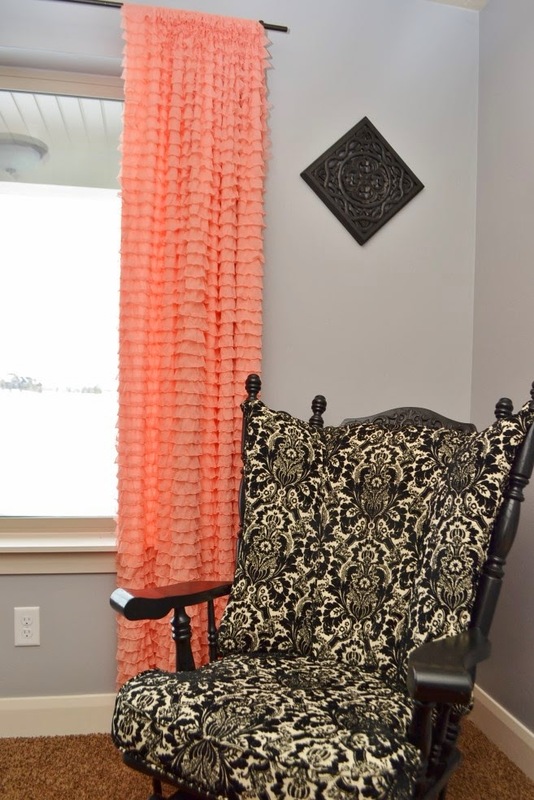 I am re-doing my daughter's room and wanted some ruffle curtains but was cringing at the idea of making all those ruffles. Love this idea! Thanks so much for sharing at Much Ado About Monday! Those are so cute! What a brilliant idea! So this isn't about the curtains but about your glider...I need to replace the cushions on mine and I love your cushions...where did you get it?